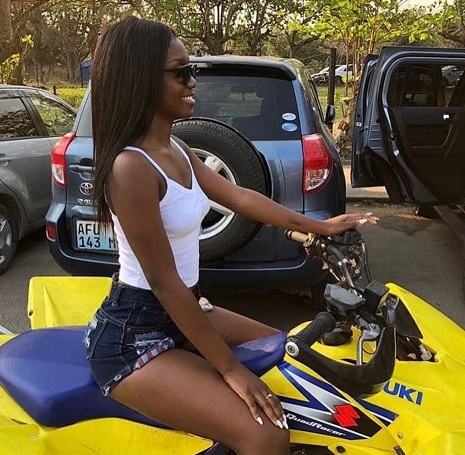 A lady has landed in a hospital with broken buttocks after she decided to ride a beach motorbike. In a video footage which has gone viral online, the lady can be seen riding the motorbike before colliding with a vehicle and falling on the ground. The lady was rushed to the hospital after breaking her buttocks and is said to be doing fine after receiving medical attention. The incident happened yesterday in South Africa, according to reports.